Canning Carrots and lovely Green Tomatoes! - Canning Homemade! Home » Carrots » green tomatoes » Canning Carrots and lovely Green Tomatoes! Canning Carrots and lovely Green Tomatoes! Some of the best days are ones where I have an opportunity to teach canning to people who are a part of my community. In addition, it's just a bonus when I get to try a new recipe for the first time at the class. That day was today at my Fairview Farms Preserving class. I had the exciting news that the farm had green tomatoes available to can. So as a part of our "Everything Pickled" class I added a few new recipes to the site for your canning pleasure. The fantastic organic produce was supplied by Fairview Farms and the attendees to the class were very excited about their ability to "put up" several different types of pickling recipes. We made kosher dill chips, Zucchini Relish, pickled peppers and two new recipes for me, Pickled Carrots and Pickled Green Tomatoes. As a result we worked on two of the basic flavors for pickling; dill brine (water & white vinegar) & bread and butter brine (sugar & cider vinegar). Remember, Pickling requires that your vinegar be at least 5 % acidity! 1. Wash and rinse pint canning jars; keep hot until ready to use. Prepare lids and bands according to manufacturer's directions. 2. Wash and peel carrots well. Wash again after peeling and cut into rounds (we cut into spears) that are approximately ½-inch thick. 3. Combine vinegar, water, sugar and canning salt in an 8-quart Dutch oven or stockpot. Bring to a boil and boil gently 3 minutes. Add carrots and bring back to a boil. Then reduce heat to a simmer and heat until the carrots are half-cooked (about 10 minutes). 4. Meanwhile, place 2 teaspoons mustard seed and 1 teaspoon celery seed in the bottom of each clean, hot pint jar. 5. Fill hot jars with the hot carrots, leaving 1-inch headspace. Cover with hot pickling liquid, leaving ½-inch headspace. Remove air bubbles and adjust headspace if needed. Wipe rims of jars with a dampened, clean paper towel; adjust two-piece metal canning lids. 6. 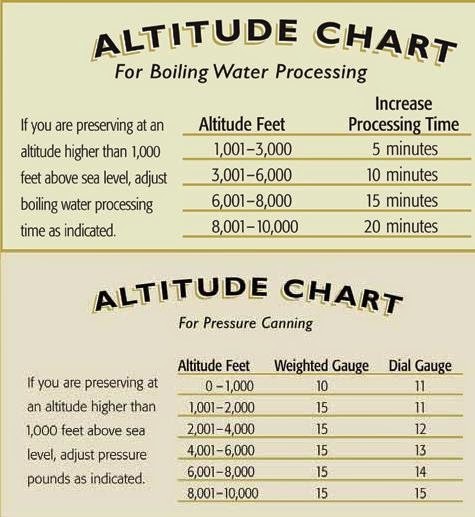 Process in a boiling water canner for 15 minutes. Let cool, undisturbed, 12 to 24 hours and check for seals. Add jalapenos or chilis for a spicy version. Add peppercorns for some flavor and great contrast for color. Wash tomatoes. Core tomatoes and cut in halves or quarters. Combine vinegar, water, salt in large pot. Bring to a boil. Place 1 garlic clove and 1 head of dill (or 2 tsp seeds) in each jar. Pack tomato pieces into jars and cover with vinegar solution, leaving 1/2 inch head space. Process in water bath for 15 minutes at a full boil. We also added about a dozen peppercorns per jar for additional flavor.